Looking for a job can be a challenging experience for anyone, regardless of how much experience they have . As a result of feeling like you’re on an emotional roller coaster, even the most savvy job seekers can get tripped up. Here are 6 common job search mistakes that may be hindering your progress…and how to avoid them. 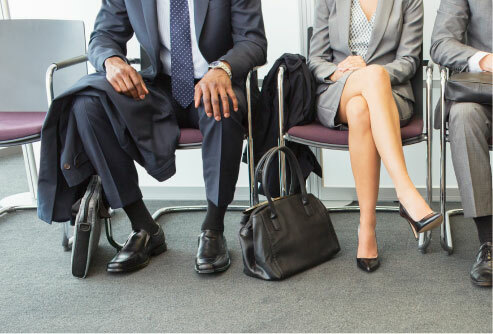 Whether it’s relying solely on online job postings or depending on friends and word of mouth to find opportunities, job seekers often miss out if they utilize only one search method. Most experts agree that job seekers will find more connections that will lead to opportunities if they use a multi-pronged approach. So if you’ve never attended a job fair, now is the time to find one in your area. If you aren’t very social and tend to spend most of your job search behind your computer, now is the time to get out to a networking event and start talking to everyone you can to keep communication skills sharp. If you find you rely mostly on friends and word of mouth, you may want to spend more time researching trends and opportunities in your industry. In this day and age there are so many resources at job seeker’s fingertips. Some examples are to use a combination of job boards, networking, phone calls, and face-to-face meetings to maximize your search potential. One of the worst things a job seeker can do is to keep his or her search confidential. The old saying “People get jobs from people” is true. Tell everyone you know that you are currently looking for work. Friends, family, and former classmates and colleagues can be a great resource and even if their companies aren’t hiring, they are likely to know somebody who can help. Additionally, reconnect with your alma mater and utilize their career development department for guidance. Most colleges can even help you tweak your resume or set up mock interviews to prepare you for the real thing. You may even want to consider getting a job search buddy – a friend who is also looking for work. You can keep each other accountable and support each other when the other is feeling discouraged or burned out. Asking for help in your job search will prevent you from missing out on some obvious opportunities that may be right in front of you. Not getting called in for an interview? You might want to take a look at what your social media presence says about you. We live in a world where employers do not hesitate to search for applicants’ social media profiles. Finding inappropriate posts and photos on Facebook or Twitter can discourage some from calling you in for an interview. In some instances, an employer may even secretly “friend” an applicant to gain access to their wall and comments on postings. A good suggestion is to tighten the privacy settings on your social media accounts during your job search to avoid issues like that all together. Better yet, do not post anything on your social media pages that you would not want a future co-worker or boss to see. In addition to social media, it is important that the email address from which you are conducting all job related correspondence is straightforward and professional. A safe suggestion is to use the “first name” . “last name” email format. The “Catch 22” of job seeking is that looking for a job is, in and of itself, a full-time job. Research shows that almost 44% of job seekers spend less than three hours per day on their search. However, it is also proven time and time again that those who spend the most time searching, find jobs the quickest. Your job search must be a priority. Set daily goals and keep track of your progress to stay focused. Set a schedule for the week and keep track of how many resumes you’ve sent out and interviews you’ve scheduled. The job search can be a grueling process and it is easy to let a day with no forward motion or worse, a day with rejection, sap your confidence. Stay positive and motivated. Make a to-do list. Reward yourself when you make progress. When you find yourself having doubts about your abilities or experience, remember all the qualities you have that will make you an asset to an employer. Contact your job search buddy to share ideas or get in touch with a friend for support. And remember, while you are searching for a job, to take good care of yourself, eat right, get enough sleep, and try seeing the job search as an exciting challenge that will ultimately help you learn and grow as a person.